Did you know that the consumption of the beer per person in Czechia is about 147 litres? It is the highest beer consumption in the world. Do you want to visit many mini breweries in Prague on foot? With your guide, you can taste unique beers in Prague. Besides the Czech beers taste, do you want to learn about the history and preparation of Czech beer? So this beer your is for you! Every week day, the beer tour in Prague starts at 18:00 and on weekends it starts at 16:00..
Beer tour groups are between 1 and 20 people. Beer tour takes around 3 hours. First of all, you need to meet your tour guide at the given address (Prague 1- center) and time. 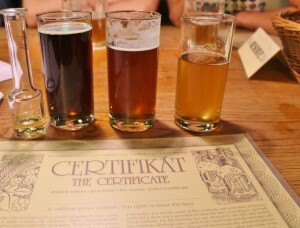 Visiting the oldest and the most authentic mini brewery in Prague, by taking your brewing master certificate, and then visiting another small Czech brewery to taste unique local Czech beers incluıded. 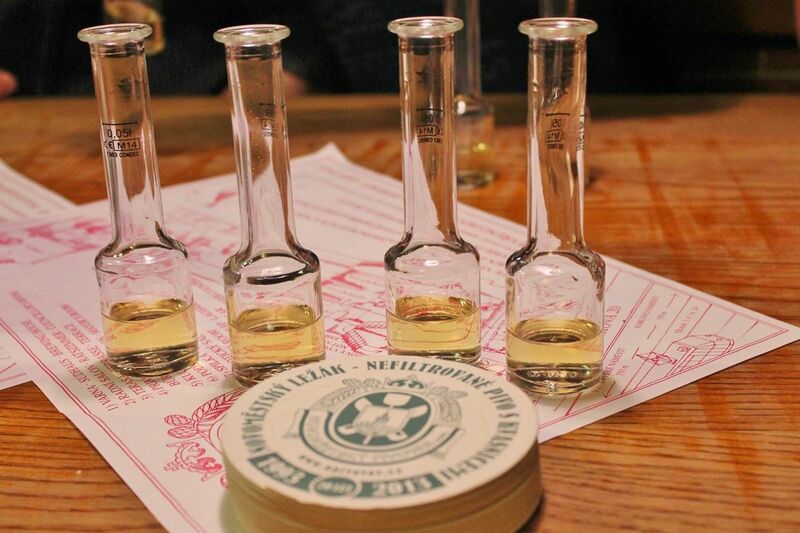 Your guide will teach you about history and preparation of Czech beer while tasting. You can also try the Czech food, together with your Czech beer. Beer spa has healing and calming effects, beer lovers say… And according to the experts, beer spa excretes carbohydrates and proteins, which are high in the body while it provides blood circulation.Also a very important feature of the beer spas is that it has become a serious problem nowadays and it is good for insomnia and the sleep problem that many people are looking for. The tub is full of barley, hops and yeast — for you to enjoy the Czech beer full! The temperature at the tub is 37 °C and bubbling cuvette during 30 minutes. possible to drink and enjoy the taste of Czech beers as well. Massage is one of the options at beer spa. The beer museum in Prague is open every day between 11 am to 8pm. The beer museum in Prague tour takes 90 minutes. The fee includes entrance fee, tasting 4 different types of beers, beer certificate and also the option of bottling your own beer in Prague! It is possible to learn about the history of the Czech beer, together with the secrets of the making / preparing the Czech beer. 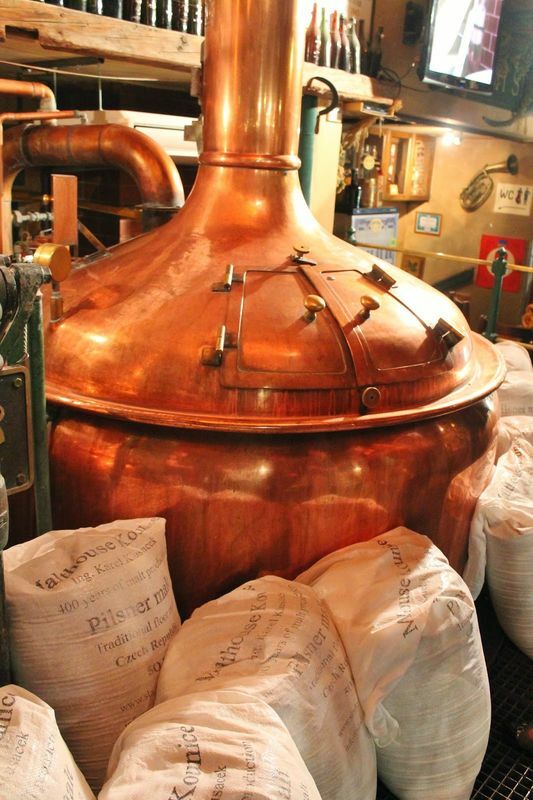 During the beer museum tour, you can smell hops and malt. Video presentations will be also held during your beer museum visit in Prague. Visiting 13th and 19th century cellars, also from the communist times. In the souvenir shop, you can buy for your self and for your loved ones beer related souvenirs. Beer tastings are only for persons aged over 18 years. Do you want to enjoy drinking Czech beer while cycling with your friends / family at the same time? 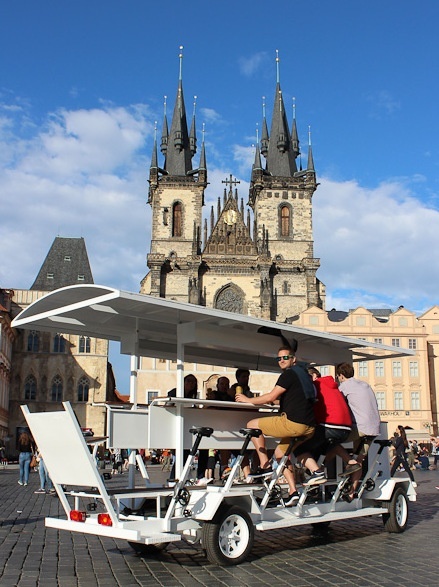 The driver of the beer bike will make a great tour of Prague, while you are enjoying the best beer in the world: Czech beer! 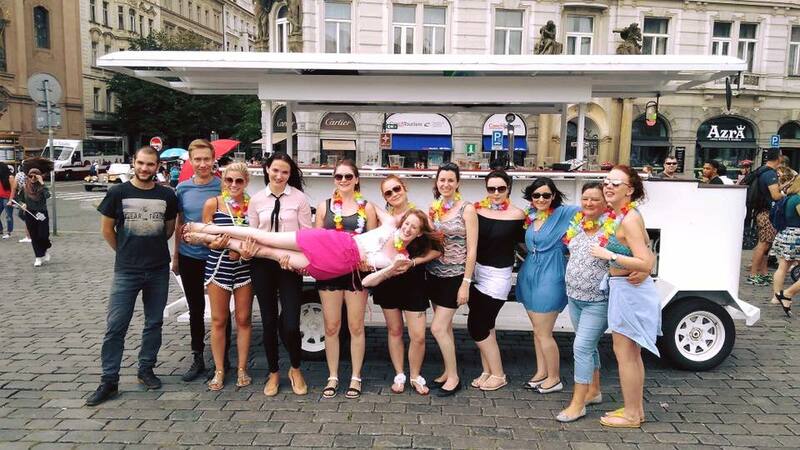 Beer bike tour in Prague is led by experienced English speaking tour guides, who represent you and show you best of Prague. Beer bike tour lasts minimum 2 hours and during the tour you can visit the main areas of the city centre, important restaurans, unique pubs and clubs. 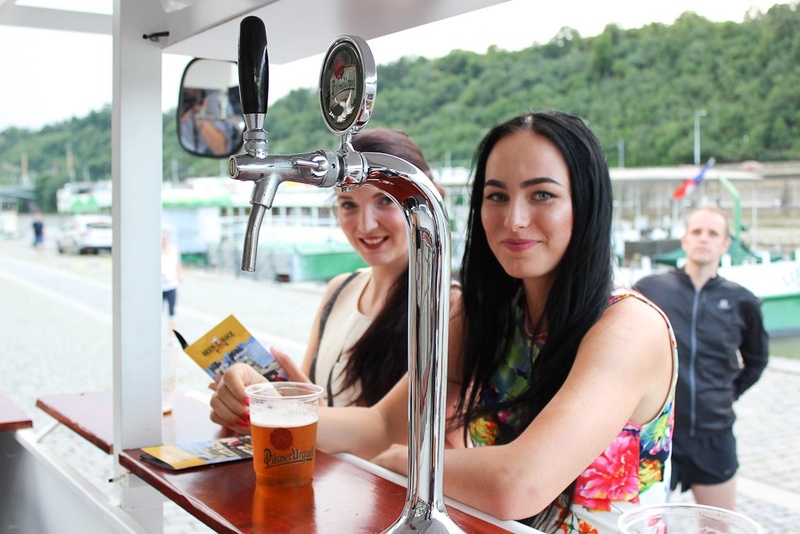 Each beer bike tour includes 30 L keg of famous premium Czech beer. You can have your own music on Prague beer bike tour. Beer bike is only for persons aged over 18 years!